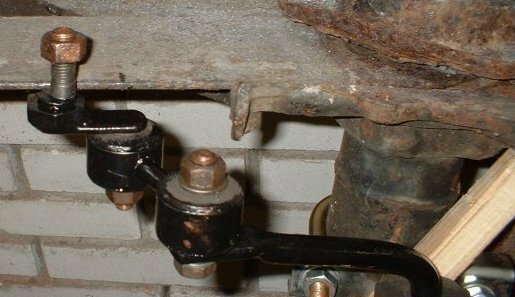 This page will explain how to make a rear swaybar from a porsche 924/944 fit a beetle with IRS rear axle. This rear swaybar was optional on the Porsche 924 and Porsche 944. The rear suspension setup of a 924/944 is basically the same of that of an IRS beetle. It is a bolt on, but not without some fabrication and some adjustments of the stock Porsche brackets. This page describes how I did it, which is probably not the best way to do it. But I did it with the skills and tools I currently have (which aren’t the best…my daily job is an office job, so…). 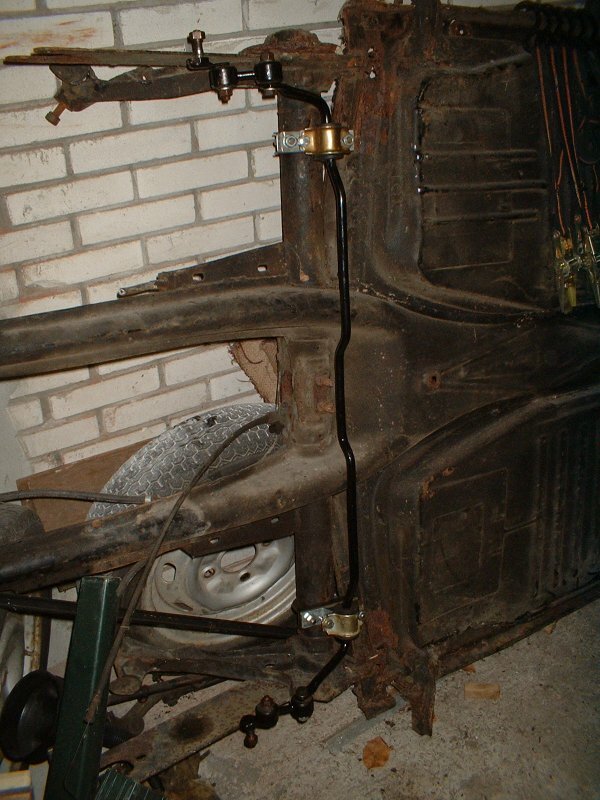 As I am writing this, the swaybar is not yet bolted to my 1973 super beetle, but to a (swingaxle) floorpan I have leaning against the wall, which made fabricating brackets a little easier. But it is not yet tested in real life, I haven’t driven with this setup yet.. I mounted it to the rear torsion bar housing with two U-clamps which I originally used to attach a trailer hitch. To those U-clamps I bolted some brackets I made myself. I made, per side, two brackets, one bracket that’s shaped like a U and rotated 90 degrees to the left (seen on the left), and one bracket with a dent in it (the dent is hard to see because the rubber is pressed against it). To this last bracket the rubber is pressed by bolting an original VW (super) beetle clamp to it. These clamps are normally used at the front of a super beetle (1302/03) to hold the front swaybar. 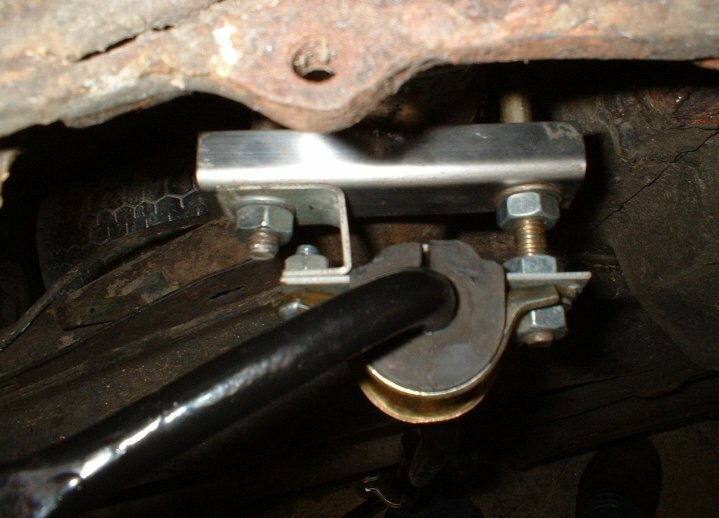 Please note that I test-fitted this swaybar to a swingaxle floorpan. 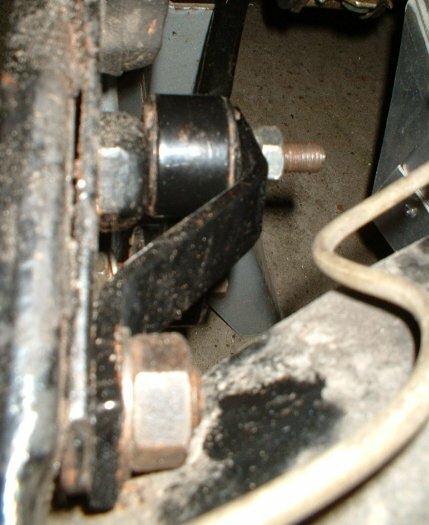 The irs trailing arm has a mounting bolt roughly at the spot where I marked the trailing arm with a small black line. 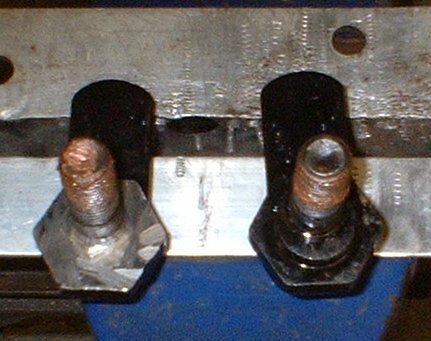 This bolt is one of the three bolts that hold the trailing arm to the diagonal trailing arm (where the axle passes through). It has to be removed (grinded) because the IRS trailing arms don’t have a big enough hole to fit the large circel shaped step. And there you got it, a low budget rear swaybar! 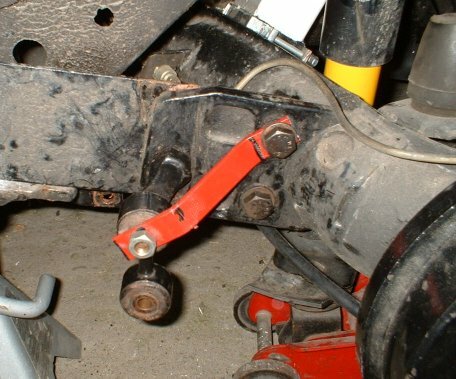 edit 25-11-2006: The modified porsche brackets moved up a little bit because of the forces from the swaybar. I created an extra bracket to hold the bracket more firmly. This is a test setup for creating the bracket. As you can see in the first picture it should be on the other side.